The Assassins' Code: Stick to the mission. Never take your eyes off the target. Show no mercy. 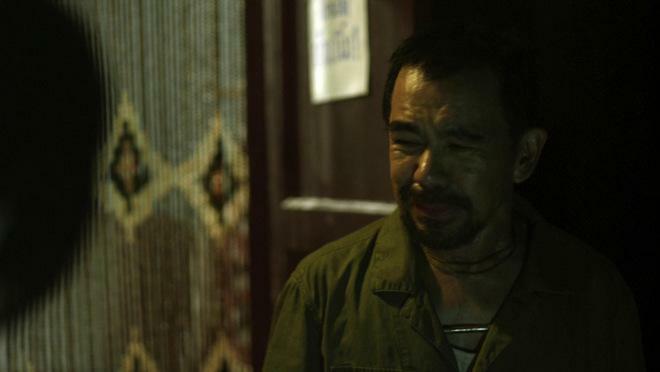 Natee (Dan Chupong) became a killer for one reason- to discover who killed his parents. As he gets closer to uncovering a secret network of power and corruption, he's double-crossed on a job, making him a target and putting everyone he loves in danger. Betrayed, exposed, and hunted by the deadliest killers in the business, now Natee has a new code. Be faster. Stronger. Hit harder. Survive. Losing your lead actor during a film's production has got to be the worst nightmare of any filmmaker. 'Solomon and Sheba,' 'The Hunger Games: Mocking Jay,' 'The Imaginarium of Doctor Parnassus,' and most recently 'Furious Seven' all have had to endure the loss of a key cast member during a critical phase of production. Some films soldiered on by recasting the role, some have edited around the missing actor, some used digital trickery to bring the show home. In the case of 'Vengeance of an Assassin,' the loss was that of Director Panna Rittikrai. It is very bizarre that the film ends up the way that it does. I'm unaware as to what phase of production this film was in when Rittikrai passed away, but 'Vengeance of an Assassin' quickly becomes an incomprehensible mess of a movie that is in desperate need of an editor and maybe a new writer to salvage this film. Thee, martial arts legend Dan Chupong, lives a life of repetitive squaller working at his uncle's ramshackle mechanic shop fixing motorbike engines. Thee is constantly dogged by the mystery of what happened to his parents. Who killed them? Who are the people responsible? Obsessed with these questions, Thee digs and digs through some old files until he uncovers pictures of some mysterious men. Through a chance meeting at his parent's gravesite, Thee meets one of these men, a distant relative who reluctantly agrees to take him into his trade of becoming a killer-for-hire in the hopes that one day the two will be able to bring the people responsible to justice. Presumably things don't exactly go according to plan leaving Thee double crossed and hunted by the world's best assassins. The reason I used the word "presumably" because without the thin description on the back of the Blu-ray cover art, this movie is an absolute mess. Time jumps happen extremely randomly. It's hard to tell if its been a week, a year, or just a few minutes from cut to cut throughout the run of this movie. I had to do a lot of guessing to keep up with what was happening, and thankfully I guessed correctly much of the time because in spite of 'Vengeance of an Assassin' being a mess of a movie, it was still very entertaining. 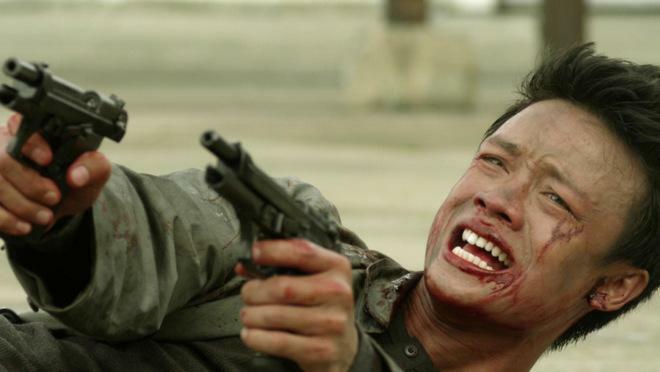 With films like 'Ong-bak 2' and 'Ong-bak 3' and having trained and mentored Dan Chupong and Tony Jaa, the loss of Panna Rittikrai is a tough one. You can feel his presence and influence throughout 'Vengeance of an Assassin.' Discounting the story structure and editing issues, the fight sequences are simply incredible. The athleticism and ability on display in this film breathtaking. The action is close and hard hitting one second and then pulls back just far enough to let you appreciate the incredible stunt work and fight choreography - I just wish the film made enough sense for you to care. There is so much insane stunt work on display here that its a shame the story doesn't really resonate. This is a really hard movie to review because much of the time I was shrugging my shoulders wondering what was going on. Then a crazy cool fight sequence or shootout would happen and I didn't care about the story any more. On one hand I want to trash this film because the story editing is so slipshod but then on the other I want to give this a five out of five simply because the fight sequences made me dare not blink. They're so good it made me feel like I was a kid again watching Bruce Lee's 'The Big Boss' and 'Enter The Dragon' for the very first time again so for that reason alone this one snags a 3/5 from me. 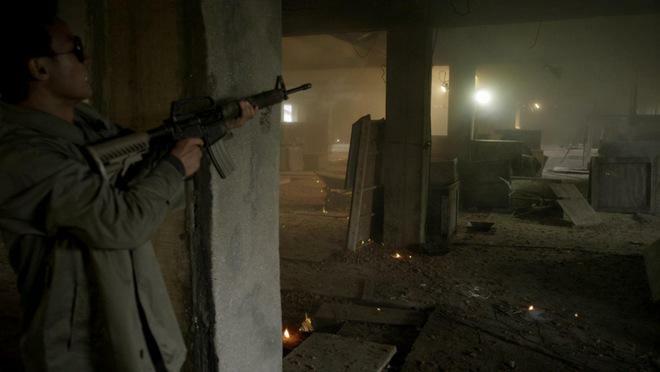 Had the action scenes been any less thrilling I would be warning anyone and everyone to skip this movie. If you're a martial arts junkie, you should have a great time with this one, provided you're willing to overlook the odd story structure. If you're new to the martial arts scene, take your time and be patient with this one and bare in mind it is most assuredly an incomplete final work for director/choreographer Panna Rittikrai. 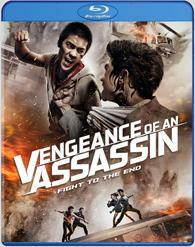 'Vengeance of an Assassin' arrives on Blu-ray thanks to Well Go USA. Pressed on a BD25 disc, the movie opens to the usual run of previews for other Well Go USA titles before reaching the main menu. To quote Keanu Reeves in 'The Matrix,' "Whoa." This 1.78:1 1080p transfer is an absolute stunner. Especially for a film pressed on a BD25 disc, there are few if any compression artifacts to mar this picture. There is a yellowish tinge that hits some shots for artistic purposes that can smooth out the picture here and there, but overall 'Vengeance of an Assassin' makes for a beautiful Blu-ray addition. Especially during the fight sequences, you get to see every hard punch, kick, gunshot, fireball and bloody squib errupt in glorious detail. The movie itself may not be the best, but if you want to run a highlight reel of martial arts fight sequences, you need to include this demo-worthy image. Where things get a bit ugly is during some unfortunate CGI enhanced scenes. These scenes I imagine weren't overseen by Rittikrai as they look hurried, and just outright unsightly compared to the rest of the film. In all honesty if it weren't for those scenes later in the film, this would be a perfect score. But considering how ugly they are, they're made that much worse with this stunning picture. If sound could punch, I'd be unconscious. Rocking a DTS-HD MA 5.1 Thai audio track, 'Vengeance of an Assassin' is absolutely perfect. You want sound design with imaging that envelops you into the action - this is it. From the quiet, somber character moments to the rip-roaring fight sequences - this track grabs you and doesn't let go for even a moment. Presented with crystal clarity, you can hear every speech, crack of a fist hitting someone's face, and the thumping action score. Best of all with all of the imaging and booming action, the levels and range are downright incredible. It shouldn't be that much of a surprise at how great this track is considering the visceral action on display, but it's a movie I've put in my player a few times now just to re-watch those fight sequences again and again while letting my ears soak in the sounds. An incredible track. Original Trailer: (HD 1:28) A pretty solid trailer that does what it can to sell the movie. 'Vengeance of an Assassin' is just one of those movies that through fate has turned out the way that it has. With the loss of Rittikrai, the film became a ship without a rudder and it drifts from scene to scene without making much sense. While the movie itself may not be that amazing, I would be doing genre fans a disservice if I didn't express how completely cool and thrilling the action sequences are in this movie. I've got a hunch that had Rittikrai been able to see things through to the end, this would have been a vastly different and that much more thrilling final film. As it is, it's a showcase piece of some incredible athleticism and talent. Thankfully the picture and audio quality are absolutely stunning. With the lack of extra features and the so so final product of the film makes 'Vengeance of an Assassin' a difficult recommend. I'll say it is worth a look, but don't expect the story to wow you - let the action on display carry that load.